Okay I am not lying, and never lie either on my blog about product review, it's totally my honest review. So please believe me too that this is one of the secret for me to treat my horrible acne skin that you guys know I was suffering to due to my stress and hormone. I was also in fault for not treating my skin well cos of my hectic schedule ._. 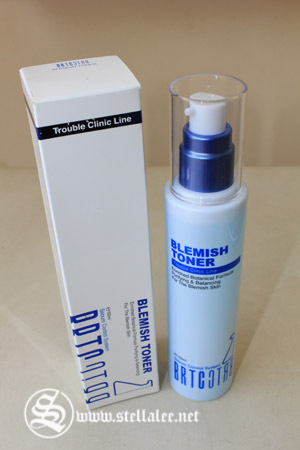 The BRTC Blemish Toner makes astringent effect by giving the refresh to the blemish and tired skin with the cooling touch. 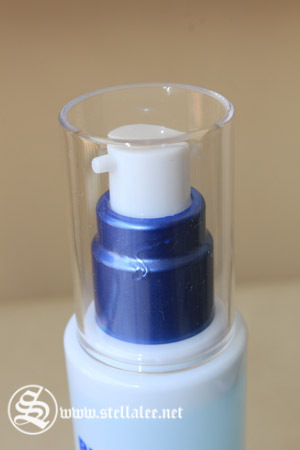 It is the purifying water that works effectively onto the troubled skin area. Containing the soothing and moisturizing ingredients, it calms the trouble skin caused by the excessive keratin. 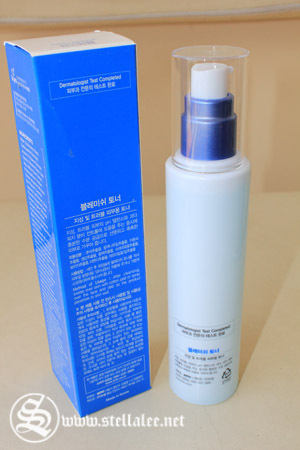 BRTC Blemish Toner comes in a tall plastic bottle that consists of 150ml product and I think its sleek packaging is really cool. Korean products tend to be cute, but BRTC comes with simple and minimalistic packaging. 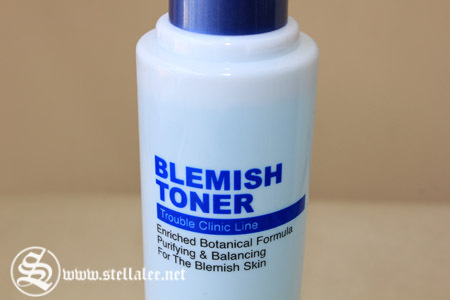 I LOVE this toner cos it comes with pump! Usually I have toner that requires me to pour it to cotton pad, and somewhat I spill it sometimes -_-" I cant measure either how much I use, so I definitely love pump type cos it makes me easier to know the exact measurement for everyday use! The texture of this toner is like any other toner, just transparent watery liquid, and easily absorbed to skin. There's a little light scent that reminds me of camellia and citrus, but it's reallyyyy light and goes off after a moment. It claims to have cool sensation but I don't experience it :/ It just feels clear and clean after I use this toner! If I dont use essence or moisturizer, my skin feels a little dry after the usage, so make sure to always combine it with moisturizer to not lose your skin moist! Yeap a bit pricey for Korean products but it's worth the money, isn't it? Yea I also try drinking more water recently!